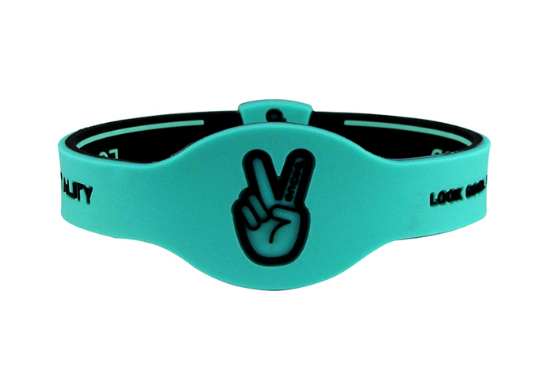 The newDeuce2.0 Mint wristband is made of ultra soft silicone that features two color ways in one band. 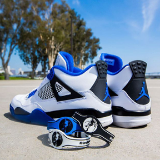 These bands areFRESH and can be worn on and off the court! The #TwoInTheAir Deuce Peace logo is on both sides of the band. It also comes with two motivational sayings: "Underdog Mentality" and "Look Good Play Good"! This band will feel FEATHERY on your wrist! The Mint 2.0 features the black color on the outside and mint color on the inside. Wear both ways. There are two motivational quotes on the band. "Underdog Mentality" & "Look Good Play Good"
High quality silicone band with micro injected detail. 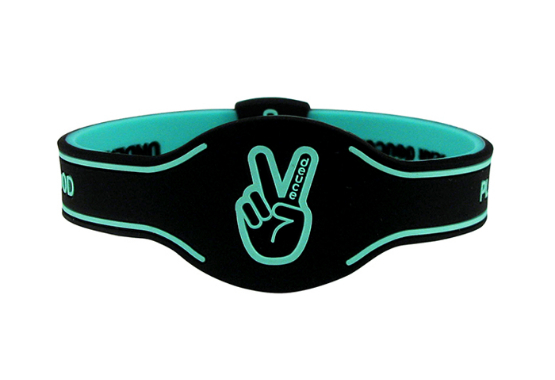 The outside of the band features all black color way with mint color accents. The inside of the band features the mint color way with motivational quotes in black script. 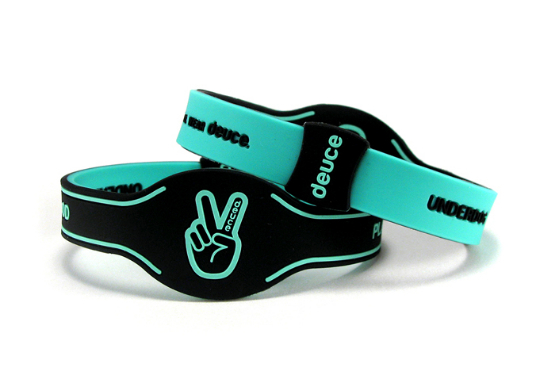 Deuce 2.0 bands are completely reversible. 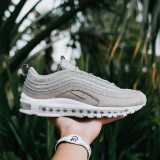 This high quality silicone band can mix and match with your favorite accessories. Sean M. Results may vary from person to person. Rafael G. - Results may vary from person to person.